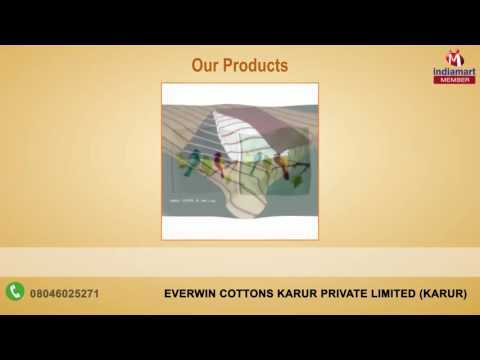 Harnessing the vast knowledge, Everwin Cottons Karur Private Limited has started in 2005 as reliable manufacturer and supplier of Home Linen Products. Since inception the company is offering high quality Chefs Apron, Bread Basket and Chair Pad. Our products are well known for being tough & tamper proof, eco-friendly, capable of bearing high load & providing safety to goods. Extensively used for household purpose, our offered range is reckoned amongst our clients for their availability in various sizes and colors. As a client centric organization, we have been regularly working on to creating the new production mechanisms and concepts for design and quality enhancement so as to successfully meet the evolving technology demand and better designs. Our commitment for excellence and zealous efforts form the pillars of our strength and have mustered huge client base.